Shift your mind, body and spirit into a deeply relaxed state of being. 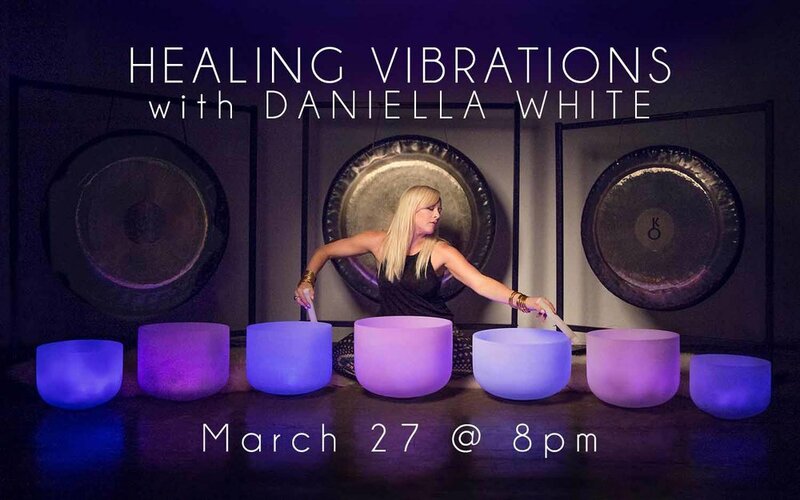 A Sound Bath with Daniella White is an improvised concert designed to release stagnant energy using crystal bowls, gongs, and shamanic vocal toning. The orchestra of sounds created will drench your body with profound cellular vibration, activating your parasympathetic nervous system, cellular regeneration and stress release. It is in this space of conscious release that physical, mental and spiritual healing can take place. Come prepared to lay in a comfortable position for an entire hour. Please bring blankets, pillows, extra yoga mats and any layers of clothing to ensure you can rest with ease. We also highly recommend staying hydrated before and after your sound bath. Want your best sleep ever? Yes, please.